Nothing beats the passion of a true fan writing about something they love. That's what you're about to see here: one of the richest, most amazing tributes to a great gaming series that we've ever run on Kotaku. Warning #1: this one might make your browser chug, so close your other tabs. Warning #2: This piece might make it hurt a little more than there are no new Metroid games from Nintendo on the horizon. Nintendo’s Metroid series tells us of a malevolent and vicious universe. It’s a maelstrom in which benevolent races are routinely extinguished, and corrupt empires wage war for ownership of living weapons. It’s a place in which xenocide is a commissioned service, and grievances are resolved with planetary apocalypses. Everything is chaotically connected to a dead race of avian prophetic poets fighting a war throughout the cosmos. It’s a dark place to visit. There are two purposes to this article: to explore the expansive lore of the Metroid universe – with speculation to fill in the gaps – and to exhibit some extraordinary Metroid-inspired art. All artwork is credited to its original source – follow the links to see further works of these spectacular artists. The games tell us much about this hostile universe, but there are a lot of unresolved story points. In response to these mysteries, the article will provide a healthy amount of speculation. You can consider the piece to be either a makeshift timeline illustrated with fan-artwork, or simply an enthusiastic attempt to reconcile the series continuity into a cohesive whole. The article is informed by the extensive research previously performed by its author. The approach taken regarding speculation is thus: The logical inclusion of probable events that resolve mysteries, while maintaining the themes of the series. Metroids are a genetically-engineered species, created by the Chozo in the prehistory of the games. By the time the first entry begins, Metroid creatures only exist on the planet SR388. At some point long before the games, there was also a Metroid presence on the planet Phaaze. At least some Chozo possessed a native ability to see into the future. The Chozo discovered the living planet Phaaze with their Elysian Research Outpost. We are not told what transpired immediately after this discovery, but something happened that caused at least one Metroid organism to appear on Phaaze. The planet then loaded this creature – along with pieces Chozo-style powersuit armour, into a Phazon seed and launched it towards a heavily populated Chozo planet. This seed impacted Tallon IV and is contained by the Chozo within an impenetrable shield. 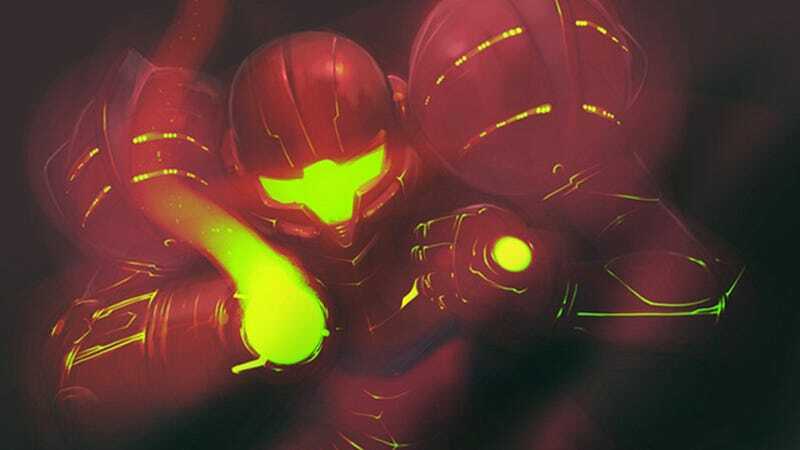 The mutated superevolved Metroid creature within – clad in crafted power armour – is trapped in the shield until Samus Aran deactivated it thousands of years later. There are living planets in the Metroid Universe. Phaaze is explicitly referred to as being alive, and could interact with a sentient mind – as shown when a Galactic Federation Aurora Unit is implanted. The planet SR388 could be interpreted as having some form of sentience – it shook with apparent anger when its creatures were killed by Samus Aran, and precisely manipulated its oceans to lure the bounty hunter into hostile situations. (Metroid II: Return of Samus and Metroid Prime III: Corruption). The immediate backstory to the first game in the series is the discovery of the planet SR388. The final event of the final game in the chronology is the final destruction of SR388. With all that said, let us begin. Click here for the second half of this epic story. Mama Robotnik is a video game historian living somewhere in the British Empire. He specialises in unearthing lost gaming media, but also enjoys a good long essay about his favourite games every now and then. He drinks a lot of tea, and has a horrendously naughty black and white cat called Blossom. If you would like to contact him, he responds to his private messages over at NeoGAF.